Big Data’s emergence has changed the way organizations plan and implement goals and initiatives. As it brings powerful data storage techniques and newer technologies, their significance has risen up to include all aspects of the business from marketing strategies, brand management to product delivery. In fact, it is being widely believed that Big Data is all set to change the sales and marketing landscape using predictive analysis. These analytical processes can generate results with an exceptional speed, earlier unknown to the industry experts. Big Data by building capabilities has proved efficient to handle massive amounts of data in from many different systems. Advanced data analytics has some inherent advantages when it comes to data storage across multiple networks. Despite the successes achieved through big data, the need of developing a well managed data environment in individual industries can hardly be denied. This is where Big data companies have grown in stature. They help organizations create winning business models, and gain valuable insights for better decision making. For many large enterprises, these companies have streamlined new tools and systems so that can effectively adapt to Big Data and analytics. The software frameworks such as Hadoop, Spark have stood out from the rest by addressing the challenges of faster access to the complex sets of data in a cost-effective manner. As a result, a large segment of industries while recognizing the potential value of Big Data are working up to create a better user experience and grow in business value. 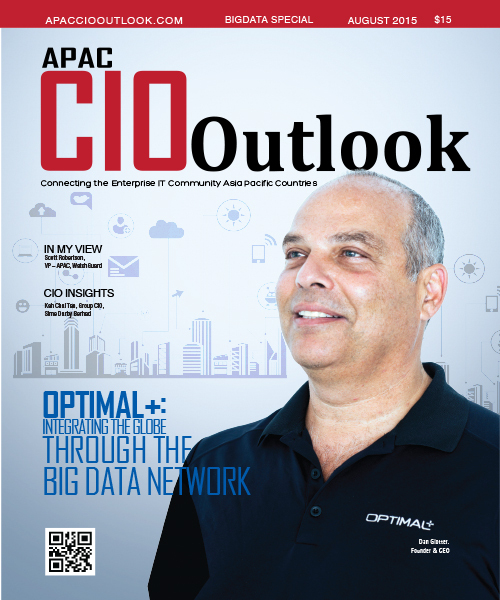 The current edition of APAC CIOoutlook brings you “25 Most Promising Big Data Companies.” The list highlights some of the most prominent organizations in the industry who are capable of leading their clients towards excellence by supporting them beyond an advisory level. The proposed lists aspire to assist individuals and corporations to find the right big data solutions provider, who suits their specific requirements and help them accomplish their big data projects. A firm that provides big data services, cloud computing and virtualisation, databases, middleware integration and data protection. A consulting firm that delivers end to end business intelligence (BI) and analytics services and business partnerships. 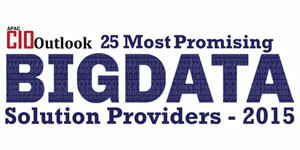 A provider of big data integration in a multitude of industries such as Telco, finance, health, utility and travel. A provider of big data, data warehouse, storage experience, analytics capability, and a variety of ERP environments including SAP. A provider of innovative analytics tools such as DataSpark GeoAnalytics to harvest huge amounts of big data for insights about people and places. A provider of private Cloud managed services on premise, or via its secure DC locations, HPC / big data technologies and applications. A company specializing in big data analytics in defence, government, mining, retail Industry, sports, sustainability and intelligent buildings. A company specializing in big data processing, big data analystics, big data technology consulting, big data and big data training. A firm that uses data to tackle chronic diseases and influence positive health outcomes by introducing cutting-edge ideas from big data. A company serving big data engineering, decision management, big data science and solution accelerator. A firm that specializes in global mobile ad platform, mobile advertising, app developers, mobile app marketing etc. A privately held computer software industry which specializes in big data, Hadoop, data integration, ETL, BI, and business analytics. A company creating actionable insights from the massive amounts of big data generated in semiconductor manufacturing operations. A provider of business intelligence, BI discovery, planning and scope, technical architecture, data modelling and others. A firm that specializes in providing big data, deep data, eHealth, infectious disease, edge networks, spatial analysis, property. A provider of data locker, business insights, analytics, big data, location based insights, platform-as-a-service, professional services etc. A company that utilizes Big Data analytics to provide data consulting, UX consulting and personalized strategic consulting. A provider of services that include access control reviews, incident response and investigation, security analytics and compliance etc. A company offering big data exploration, 360 degree view of the customer, operational analytics and datawarehouse augmentation. A firm specializing in IT solutions and services, applications management services, infrastructure services, lifecycle management and more. A firm providing software solutions that include ADAPA®, and UPPI™, a universal plug-in utility for industry-leading analytics.